Put on your apron and start the cooking as you get familiar with your fully equipped kitchen! Raid the refrigerator to collect your ingredients and begin preparing your favorite foods. Chop, bake, fry or BBQ, add condiments to customize and serve a perfect culinary creation! It's all up to you as you learn to run your own restaurant! Welcome your hungry diners and introduce them to your delicious menu. Find the dish that's right for them, serve their order as they wanted and earn coins for making your customers happy! Will you be able to progress to master chef? Meet all of Dr. Panda's fun friends in this exciting new game. Enjoy the beautiful animations and the fun reactions! Cook up some crazy food combinations or sneak a few extra chilies on their pizza and share some giggles as they gobble it all up. - Unleash your creativity and be the best chef in the world. - Over 20 ingredients and condiments to choose from! - Learn how to run your very own restaurant! - Make pizzas, burgers, pasta and more! - Be rewarded and level up for your culinary talent! - Master all the different kitchen tools! - Play at your own pace with no time limits! - Fun for toddlers, children, teenagers and adults alike. 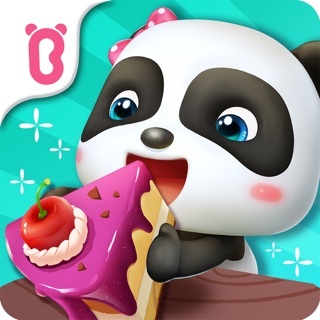 - Try Dr. Panda Restaurant 3 for free! - Kids learn basic cooking methods for different types of recipes. - Get familiar with different ingredients and handy cooking tools. - Become receptive to customer's facial responses based on what they like and don't like. - Kids can role-play and develop storytelling skills. Find more Dr. Panda games on the App Store by simply searching for #drp! Dr. Panda Restaurant 3 is a free educational game for kids offering in-app purchases to unlock additional content. These are one-time purchases which will permanently unlock the content for your account. Please check your device settings for more detailed parental options regarding in-app purchases, and feel free to contact us at support@drpanda.com if you have feedback or concerns. In this update, Dr. Panda Restaurant 3 is bigger and better than ever! There's more to make, and more ways to cook than ever before. - Get the Expansion Pack to get even more ingredients, recipes and ways to cook! - Blend all sorts of ingredients with the brand-new blender! - New recipe! Make refreshing smoothies for your customers! Enjoy cooking with Dr. Panda? Leave us a review and share your newly created recipes! I payed for the master chef pack and it was amazing! But one thing is missing that is the important thing of the pack is the last recipe that has like all of the food at once! Is this a bug or do I have to unlock it by making all food for these animal customers. Because I have no idea. Please reply to this because I been searching everything on how to unlock but nothing! So tell me what to do please. Other than that this game is amazing and I got my master chef pack on my birthday and I think this is brilliant. Ok if you read this you will know where I am coming from, so I get gift cards a lot but it has not happened in a little while, a couple days ago and got this app it’s awesome! Here is the thing if you don’t get the master chef pack, you can barely do anything!! Seriously this is like Hoopa city you can only play for 15 minutes then you have to PAY so I love this game but make new recipes please and make more DRINKS thank you I don’t mean to complain just please read this and take my suggestions cause it seems as if you never respond to reviews!! I’be been severely let down by this game. Out of all of the Dr. Panda restaurant games, this one is my least favorite. I’d be willing to pay $5, but the game does not seem like it’s worth it. The graphics and cooking mechanics are of a much poorer quality than the other games. The graphics seem like something a person using a 3D modeling program for the first time would make. I don’t want to come off as rude, but I don’t know how else to express how poor the graphics are compared to past games. For the cooking mechanics, nothing significantly new has been created besides the grill. I’m extremely disappointed.